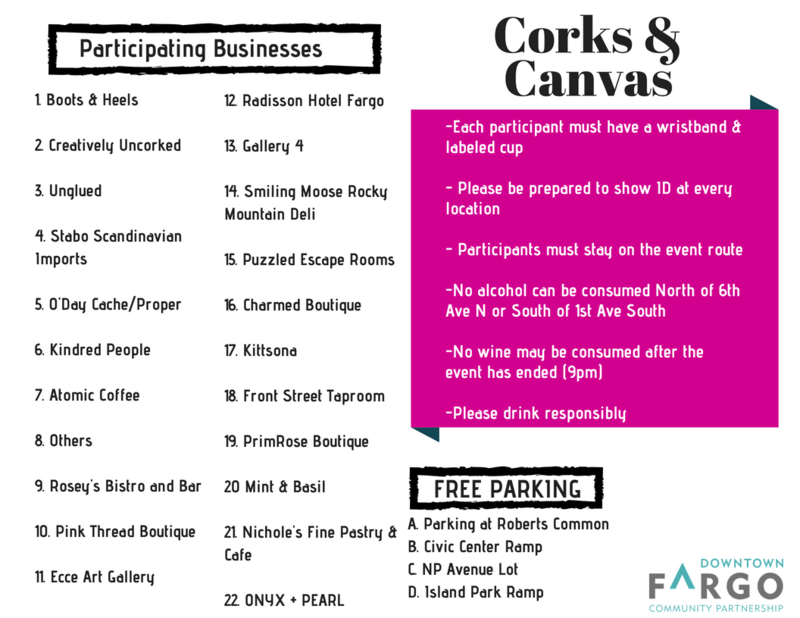 The last Corks & Canvas of the season is right around the corner! 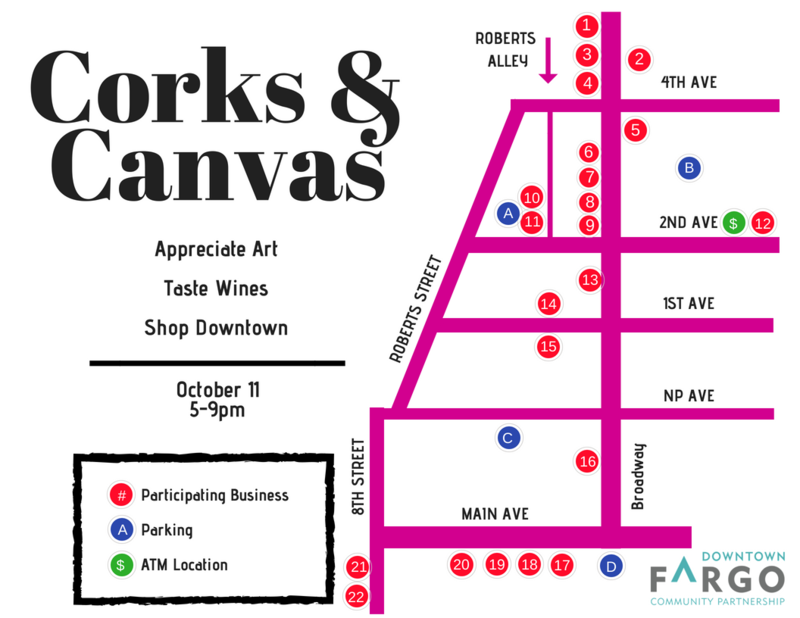 Browse your favorite Downtown shops and restaurants while enjoying a wide selection of wines and meeting local artists and viewing their work. Start at any of the participating locations and get your wristband to take part in the event. Price per wristband is $20 (cash only). A special thank you to Happy Harrys and Front Street Taproom!